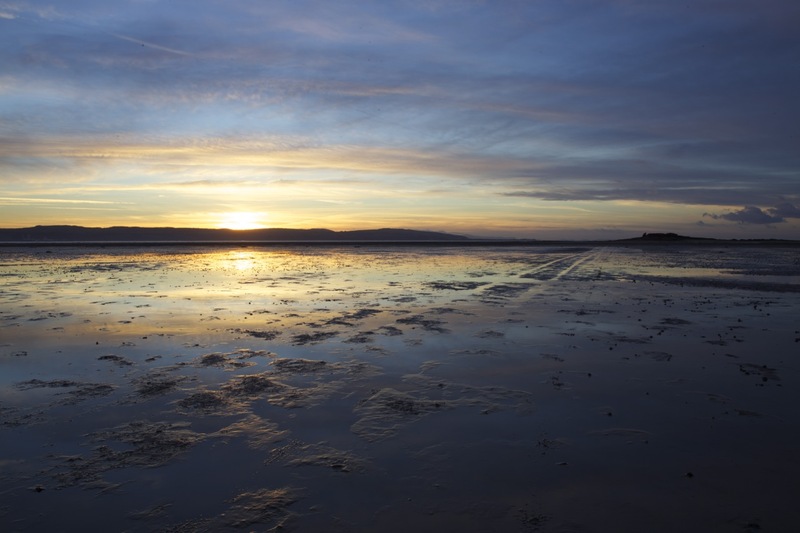 Hilbre Island, and its two sister islands Middle Eye and Little Eye, lies 2 miles off the Wirral mainland in the mouth of the estuary of the River Dee. One of 43 unbridged British tidal islands that can be reached on foot from the mainland, Hilbre is a place set apart, marooned by the tide for 4 hours in every 12, and, although inhabited for centuries, now lies abandoned, its former houses falling in disrepair. 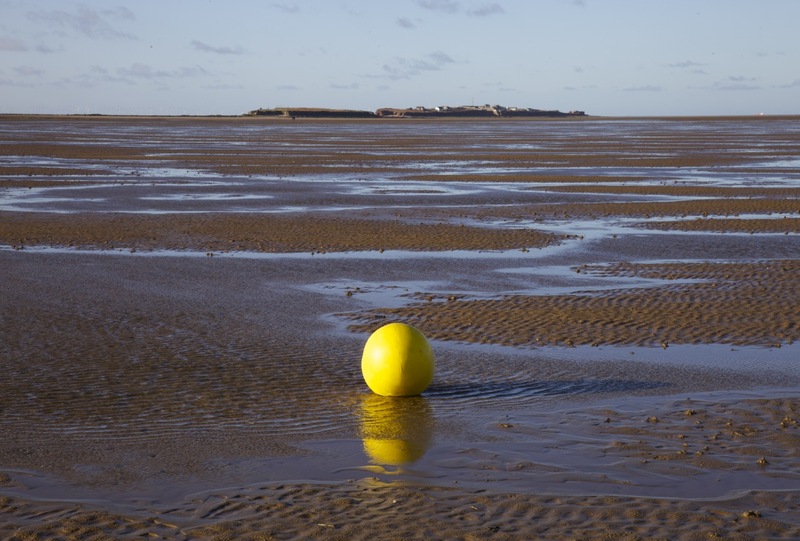 Unlike the infamous paths that cross Morecambe Bay or Foulness in Essex, the way to Hilbre is easy (and popular): one need only consult tide times and avoid the couple of hours either side of high tide. 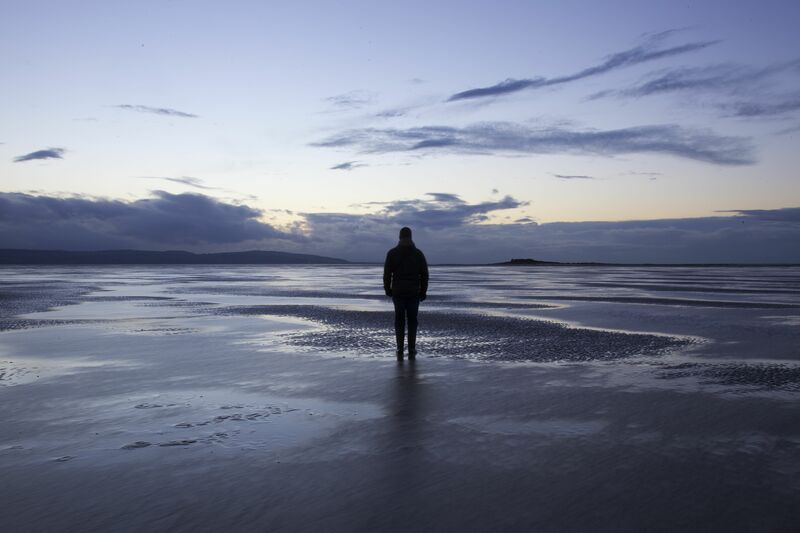 Yet, to walk the 2 miles from West Kirby to Hilbre is to enter another world, one where the landscape is forever changing and where paths exist only as flux – a place where the path is everywhere and nowhere and you are free to choose it. In British landscapes outside of the national parks, such freedom of movement is rare; here, as soon as one steps out onto the sand, it comes upon you. The islands – low prominences of rock on the horizon (1) – are the guides that draw the path but, despite the passage of countless feet over the centuries, there are no lines made by walking. Until one reaches the red sandstone rocks of Little Eye, the landscape is a mesmerising spectacle of sand, light and water – always different because always in flux (2). 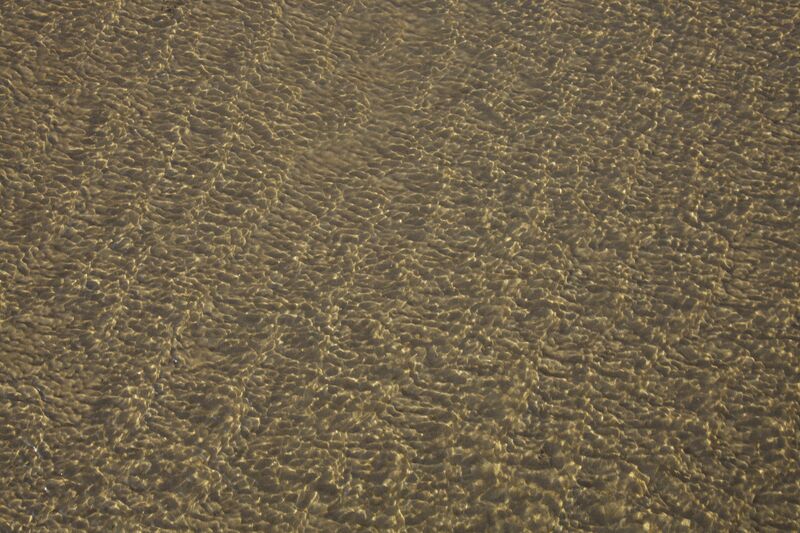 Here the tide does not so much come in and out as appear and disappear out of the sand, its low ripples funnelling the water and light into endlessly shifting patterns. 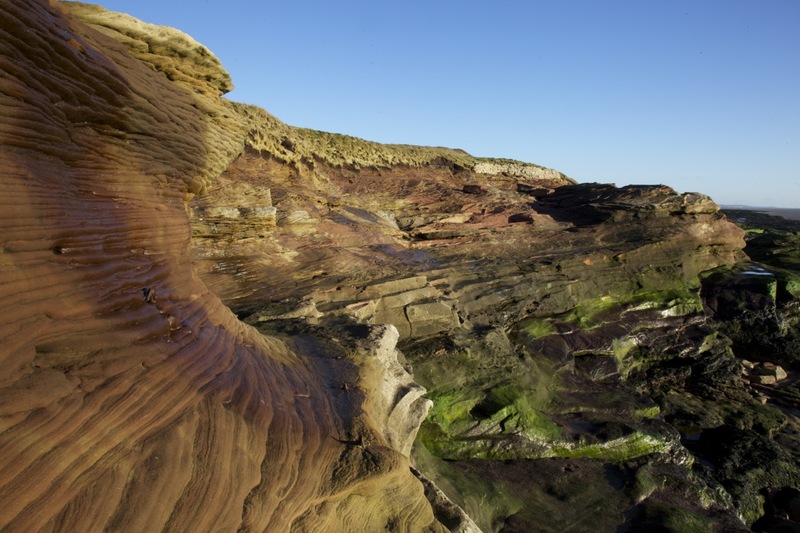 In this landscape, the rocks of Little Eye are an anchor, the southern edge of a shelf of sandstone that rises and falls for 2 miles before dropping back into the sea at the northern end of Hilbre Island. All along this shelf the rocks provide a temporary resting point for thousands of birds that feed from the rich tidal waters of the Dee: after high tide, the guano of countless newly-departed Oystercatchers fills the air with the rasping smell of ammonia (3). As one follows the rocks, they grow in redness, particularly if one is also following the setting sun, the layers of sandstone both sculpted by and resistant to the enveloping sea: here, swirls and eddies of orange and pink (4); there, green bands of algae support the red (5); elsewhere, tessellated lumps of fused sand and rock (6). 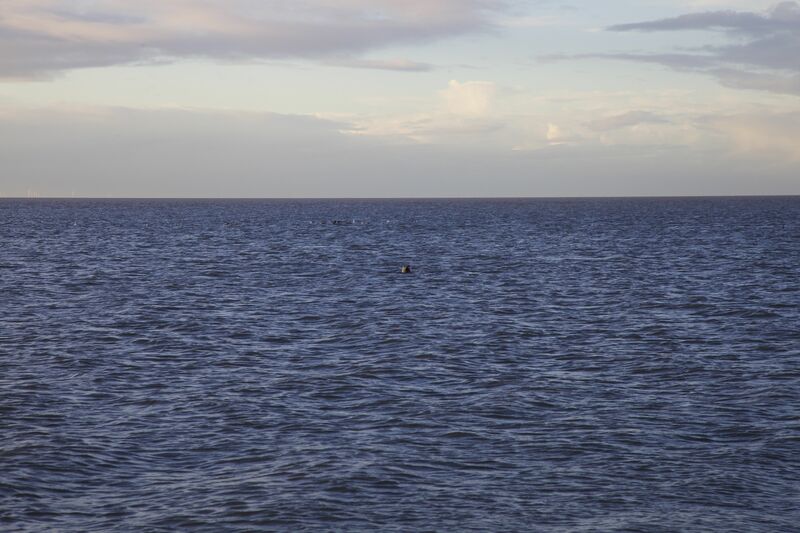 At the northern end of Hilbre Island, where the rocks gently slope into the sea, one feels at the very edge of the world, watched only by the wild eyes of seals bobbing up beyond (7). 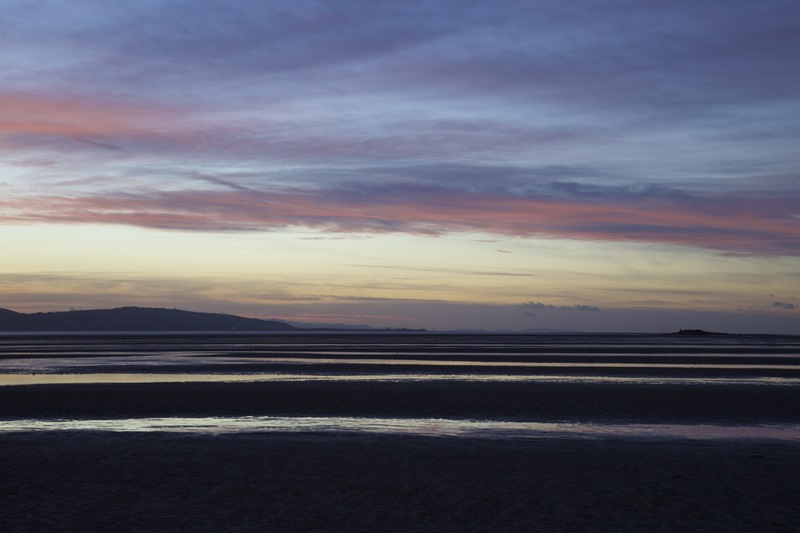 At sunset, the return journey to West Kirby is magical, the shifting patterns of light now accelerating in a spectacular display. 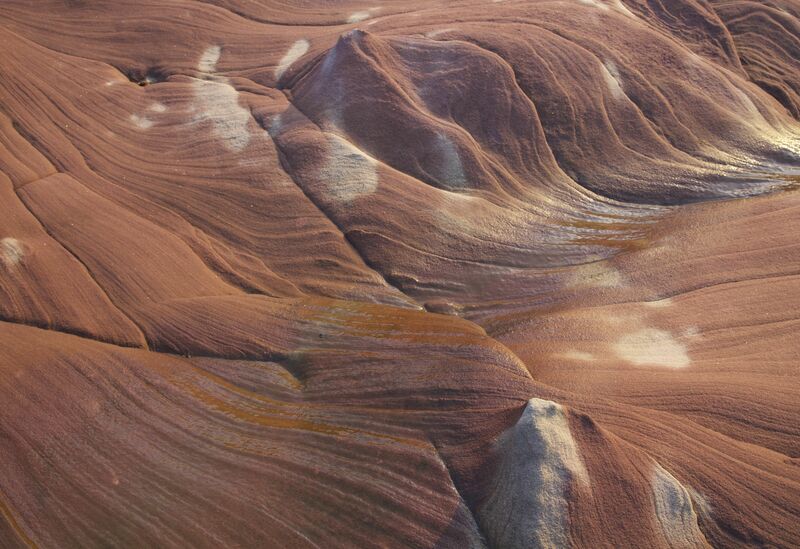 The hue of the red rocks edges from vermillion to purple, while the sand and water double the sky’s molten colours and mirrors its passing clouds (8 & 9). One is no longer walking on this landscape; rather between and inside it, enveloped as if caught within the elements themselves. 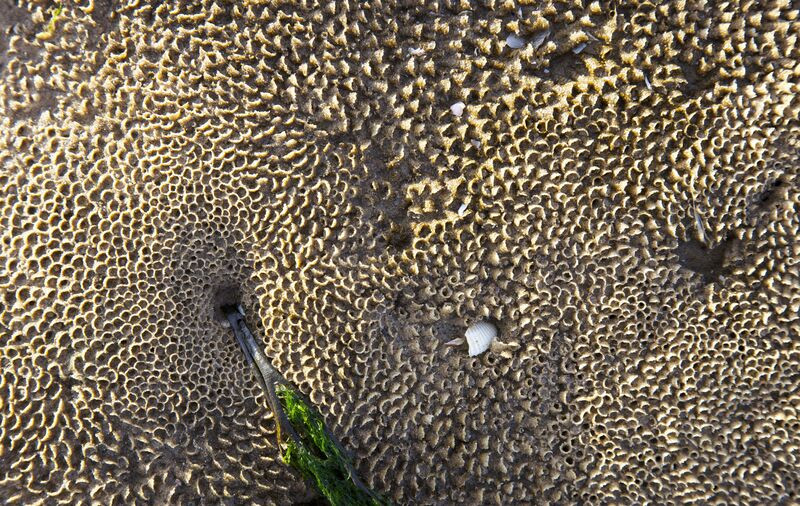 And when one finally reaches the terra firma around West Kirby’s marine lake, the edgeland beyond still beckons in the semi-darkness – the now striated forms of water on sand like solidified embodiments of the fading clouds above (10). Great photos and great writing. it looks and sounds like a magical place. This place looks amazing, Paul. You have taken some wonderful atmospheric images too. Thank-you Laurence. For the low-light shots I used a tripod with the ISO down to 50 which gives the best resolution and enhances the colours. Wonderful! I especially like #8. Great post and photographs Paul. 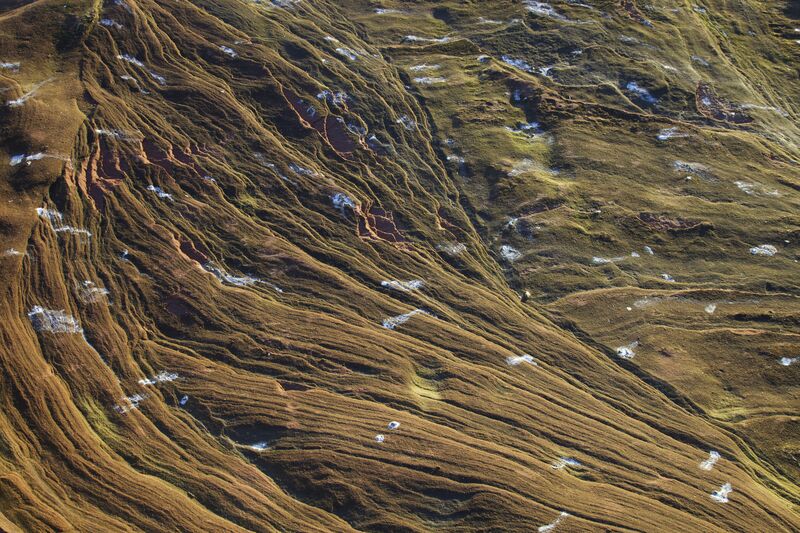 Love the idea of being able to walk to a tidal island where the paths are always in flux. Thanks! Yes, it’s really wonderfully liberating. Wonderful photos Paul – especially 3,6 and 9! I did know about this place but have not managed to get there yet, unfortunately. Thank-you Diana for your appreciative comments! I didn’t know about the islands until I bought an OS map of the area and it merely tells you on the map that it’s dangerous to cross the sands. Just check the tides and you’re fine! I love your pictures, Paul. 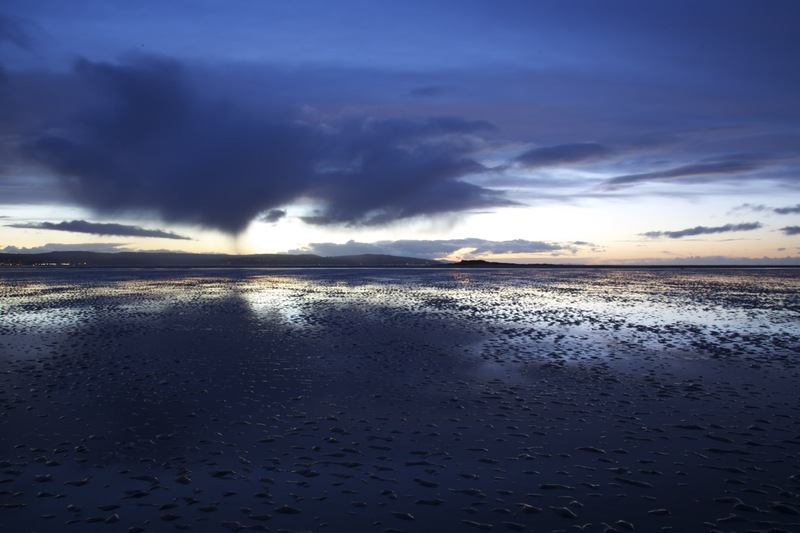 Hilbre is a magical place and I feel your words and images capture the very essence of it. For the full experience, I recommend staying over on the island from one low tide until the next! Thank-you for your lovely words! Yes, it’d be great to feel the whole cycle of the tide but I might wait until summer to try it. I’m presuming that camping isn’t allowed on the island?